Guess What Police Found in This Car After a Hit-and-Run. Red light cameras help police catch people who have ran red light or are speeding. 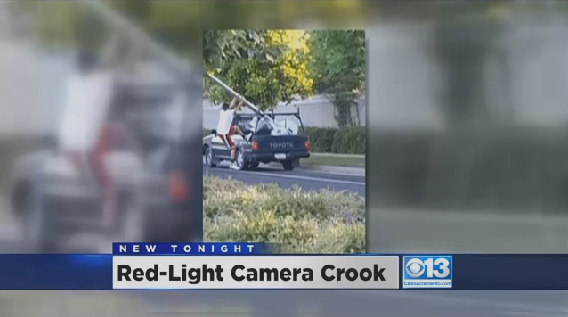 Well this time a red light camera has helped them arrest someone involved in a hit-and-run in Marysville, California. 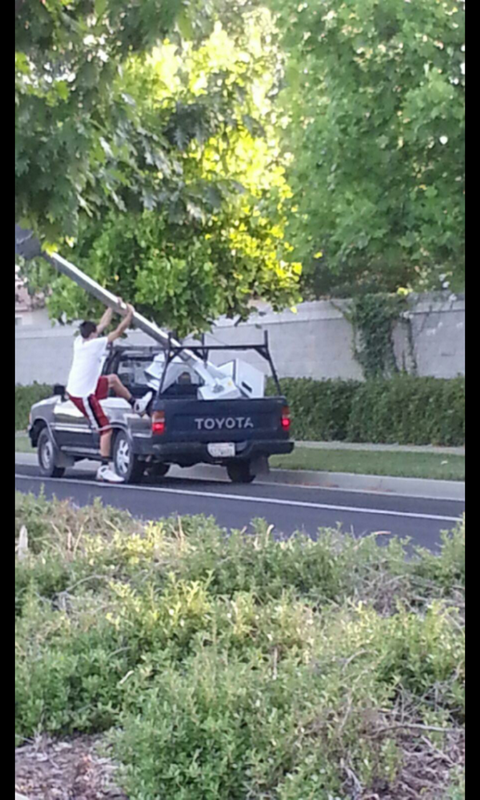 This time however, instead of the red light camera catching the suspect it was the other way around. On Saturday, police say that Manuel Montano Herrera, 19, slammed into a pole with a traffic camera mounted to the top of it. 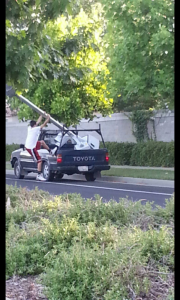 After the collision the entire pole fell into the back of Herrera’s truck and then he just drove away with it in the back. Two paramedics saw this incident as it happened and were the ones who initially reported it to police. 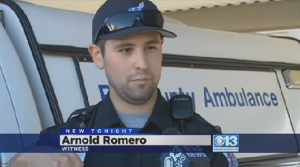 One of them, Arnold Romero, said, “ The pole ended up flipping over into the back of the bed of the vehicle… the vehicle sped off and actually stopped at the next light and turned that corner from there and took off.” After stopping at a friends house Herrera was seen by another witness trying to take the camera out of his car. The witness snapped a picture of him which later helped police catch up and arrest him. Herrera said that he had left the scene because he was late for work. I’m pretty sure his work would have understood if he had gotten into an accident. Common sense isn’t so common sometimes. 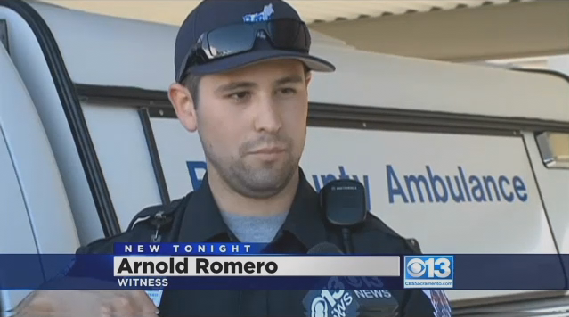 Herrera was charged with a hit-and-run traffic collision and grand theft for taking the camera. The repairs to the camera will cost several thousand dollars according to the city.